Volunteer of the year: David Hillman! 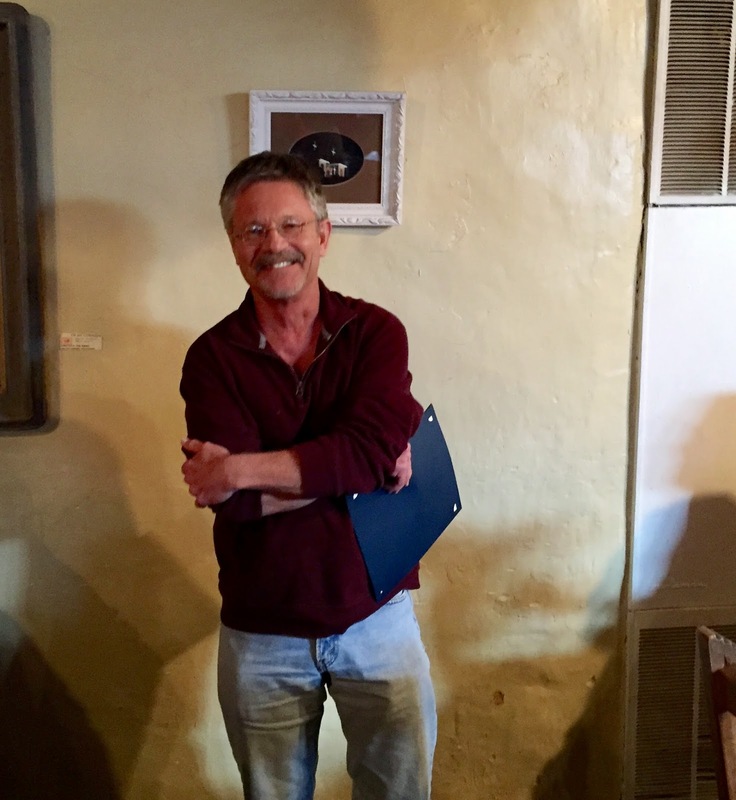 David has been a volunteer at the Taos Public Library for 30 years! For many of those years, he has come in on Saturdays, often staying until every book has been shelved. You can imagine what a difficult task that is! Congratulations David! We appreciate all that you do for us. Yes, it’s the end of another year (already so quick! )and it’s The Holidays. Do deck your Hall—your house, apartment, mobile home, cabin, hut, tent, whatever—and don’t forget those who have none. It can also be a frantic time, but there are some 250 books in our library that can help you have a sane, more relaxed and happier holiday season. It’s certainly a time when we’re all encouraged to spend money—and it’s also a time when many don’t have much. Your library to the rescue! An eye-opening statistic from the latest Scholastic Kids & Family Reading Report sends a message to parents, librarians, teachers, publishers, booksellers, authors and anyone else who cares about children reading (or lack thereof): A whopping 73% of kids, aged 6 -17, said they would read more if they could find books they like. Come visit and have your photo taken with Santa, pick up a free book, and make an ornament or necklace! 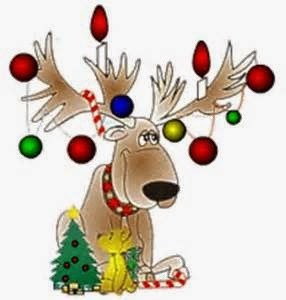 This fun holiday event will be December 10th, from 2pm to 4pm. 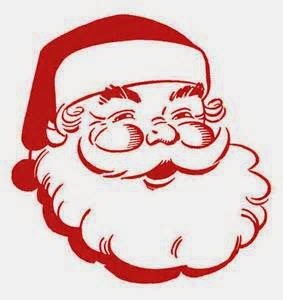 The first 100 children will receive a gift bag from Santa! For more information, contact the Children's library at 737-2589. 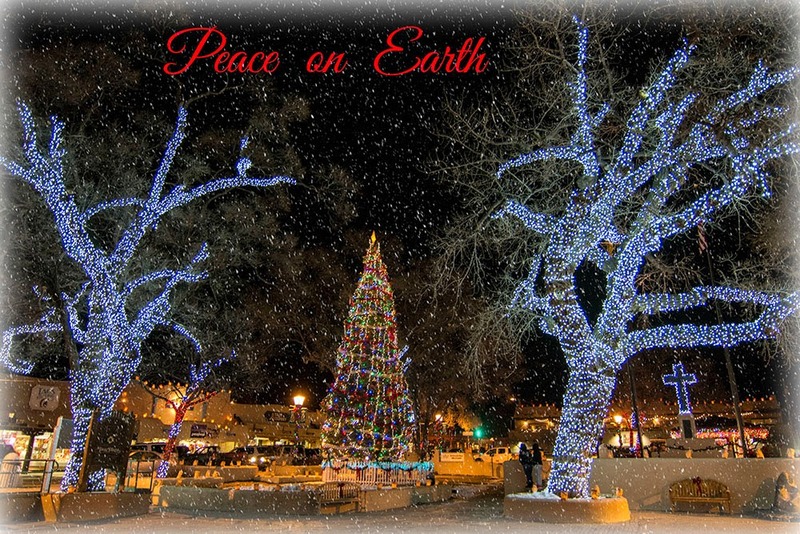 Sponsored by the Friends of the Taos Public Library, Taos Milagro Rotary Club, Macys, and Wal-Mart. In case you missed it, this may be the most heartwarming story to come out of the Ferguson protests. The Ferguson, Missouri public library has stayed open in the midst of the violent protests around it because its librarian felt it important to be there for the community. As a result, there has been an outpouring of support and donations from all over. The Ferguson Public Library is just a block away from the center of demonstrations at the Ferguson Police Department. As we've reported, when violent protests this week led to the burning of more than a dozen businesses and the uncertainty caused schools to close, the library stayed open. 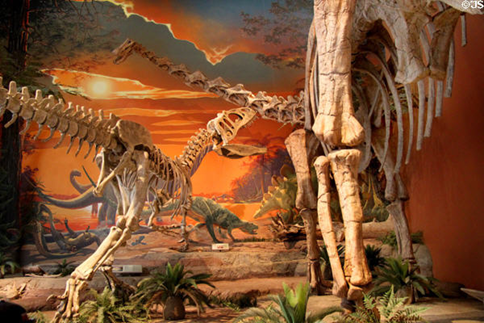 The New Mexico Museum of Natural History Foundation is pleased to offer the opportunity for Taos Public Library card holders (in good standing), to check out a membership card to the New Mexico Museum of Natural History. Made available through the generosity of foundation donors. Pass program will end June 30, 2015. Patrons must present a library card in good standing. Pass is checked out for 7 days and are non renewable. Pass must be returned in good condition. Please note there will be a $25.00 fine if lost or stolen. If the pass is late, there is a $1.00 per day fine. Adopt a magazine program gives you the perfect opportunity to help support the library magazine collection. When you choose to “Adopt” a magazine, you select a title from our wish list and you will help to keep a magazine title on the shelf for all to enjoy! As a thank you for your donation, we will affix a gift plate on the magazine binder and acknowledge your name as a sponsor. 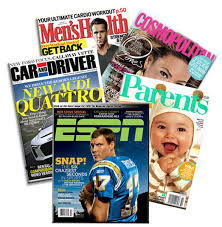 If you are interested in supporting one or more of the magazines from our wish list, Please call Barbara at 575-737-2597. Children's Halloween Party on the Plaza! The Town of Taos, Taos Plaza Merchants, Big Brother’s Big Sisters of Northern NM, DMC Broadcasting Inc. and The Taos News will be hosting a Children’s Halloween Party, Haunted House and Trunk-or-Treat on Friday, October 31, 2014 from 3:00 PM to 7:00 PM at the Taos Plaza. The event will provide the children of Taos with a fun, safe and supervised event. Everyone is welcome and admission is FREE! The first 800 children will also receive a free Halloween bag filled with treats and goodies. There will be various carnival games such as: Bean Bag Toss, Bowling, Tarot Cards, Tic-Tac-Toe and Face Painting just to name a few. Twenty-six Taos Plaza Merchants will give out candy to trick-or-treaters from their businesses as part of their annual tradition. Those businesses are: Artwares, At Home in Taos, Charles Collins Gallery #2 McCarthy Plaza, Coyote Club, Frank Secker Gallery, Hotel La Fonda Taos, Indian Hills Jewelry, Inc., Martinez Art, Mesa’s Edge, Mosaic Fine Dining, Natural Accents Gallery, Open Space, Sage Fine Art, Smoke Signals, Sun Shades and Optics, Taos Accessories, Taos Community Center’s Coop, Taos Mercantile, Taos Mountain Candles (2 locations), Taos Mountain Outfitters, Taos Trading Company, The Chocolate Factory, The Gorge Bar & Grill, The I Love Taos Company and The Village Shop. 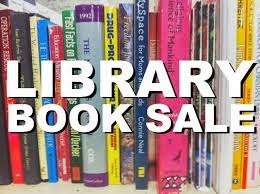 The book sale at the farmer's market last Saturday was cancelled, due to inclement weather. This Saturday, October 25th, from 10 am to 1 pm, in the Taos Public Library community room, will be your last opportunity this year, to snap up some treasures for winter reading. Many books will be discounted! 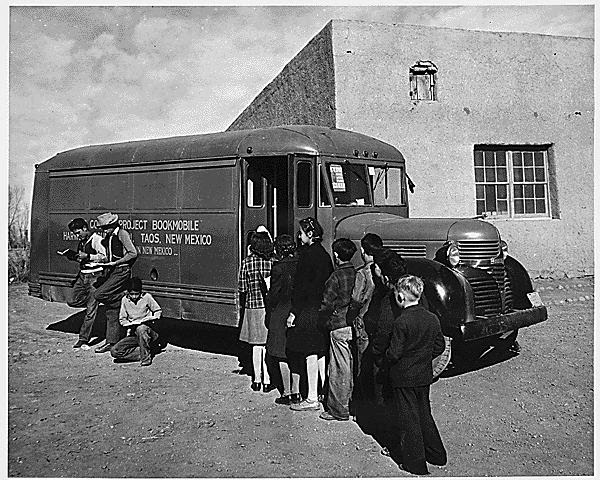 This is also an opportune time to join the Friends of the Taos Public Library. The Friends support the library through fund raising, helping to develop the library collection, running the library's used book store, and publishing a quarterly newsletter to keep you informed of what's new at your library. GO Bond "B" is .65 per $100,00 of the assessed value of your home. The Taos Youth & Family Center and Taos Public Library want you to join us in celebrating the 15th Annual Town of Taos Touch-A-Truck. This event will be held at the Taos Youth & Family Center located at 407 Paseo del Canon East on Saturday, October 4, 2014 from 1:00 PM – 4:00 PM. This is a drug free event for the whole family. Come climb into your favorite big rig, police car, fire truck or construction truck and explore free of charge. These vehicles, as well as others, will be available for hands-on inspection. The first 350 children will receive a free bag with goodies. A free barbeque with refreshments will be provided for the public. There will be music and for this day only FREE billiards. The Taos County DWI Program will be providing a DWI Simulator Course using simulator glasses. When the glasses are worn the participants get a perception of an individual that has been drinking. TriState CareFlight will have their helicopter provided there are no emergencies. Moby Dickens will do story book readings. Additional booths will include: Los Rios River Runners, Taos Hockey Association, Taos Alive, Taos County DWI Program, wacky bubbles, temporary tattoos, Nonviolence Works, here to help you with your financial needs Sun Loan Company for no charge, a face painting booth provided by Pixies Workshop for $3.00 to $10.00, Snow Cone sales for $1.00 and cotton candy sales for $3.00 provided by the Mystic Dance Team. Stray Hearts will be providing an adopt-a-thon. Remember to mark October 4th on your calendar, and join in the fun. Think of some of the happiest memories with your young ones and realize how important it is to spend meaningful time with children. With the collaboration of our community we hope to provide that opportunity and more. We would like for parents to join their children for this event as we will have activities for the whole family to enjoy together. This event is brought to you by the Taos Youth & Family Center and Taos Public Library. This event is made possible thanks in part to the Kiwanis Club Taos, Pinon Corporation, Taos County DWI Program, The Taos News, DMC Broadcasting Inc., Taos Volunteer Fire Department, Moby Dickens Bookshop, Town of Taos Police Department and Town of Taos Public Works Department. For more information call Judy Esquibel at 737-2598 or via e-mail at jesquibel@taosgov.com. The awards and recognition committee recently chose Taos Public librarian and special events coordinator, Judy Esquival, as the Town of Taos employee of the month! Judy will be honored by the town council members, the mayor, and town manager, at the next town council meeting in September. All of us here at Taos Public congratulate Judy on being employee of the month! Next time you visit the library, offer your congratulations to Judy! Come Be a Part of "El Viboron"! The Taos Youth & Family Center and Taos Public Library wants you to be part of “El Viboron” for the Fiesta de Taos Children’s Parade on Saturday, July 19, 2014. We will meet at Enos Garcia Elementary School at 9:00 AM on July 19, 2014. Participants will receive a t-shirt. Children of all ages are welcomed; bring your friends and parents too. To sign up to participate in “El Viboron” or for more information call Judy at 575- 737-2598. Please join us on Saturday, July 12, 2014 from 1:00 PM to 2:00 PM, for a FREE Meditation Class will be offered at the Taos Public Library, Community Room. Learn about and deepen heart meditation techniques using music, art, visualization, chanting, breathing, focusing on objects; with practical applications for dynamic living. Please join us on Saturday, July 12, 2014 from 1:00 PM to 2:00 PM. For more information please call the Taos Public Library at 758-3063. 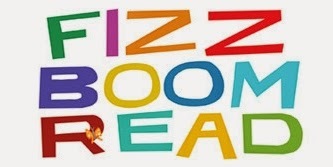 Summer Reading Program Kickoff This Friday, June 20th! 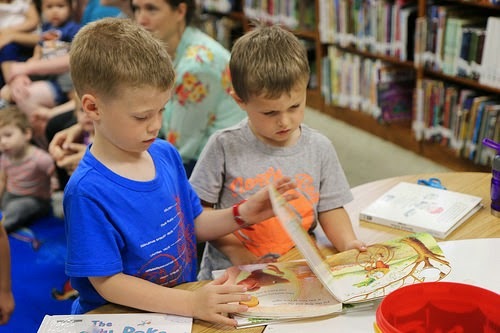 ﻿Children 18 and younger can come to the library on June 20th to register and pickup a free book, compliments of Taos Milagro Rotary and Reading Is Fundamental Program. This year a Little Einstein’s Program was added for toddlers ages 2 – 5 as a ‘Read to Me’ Program. The Grand Prize for the Toddler Program is a Leap Pad2, Children’s Program is a Kurio family tablet, and the Teen Program is giving away a Kindle Fire HD. The program will run through August 8th with various crafts, story times, meet and greet with Clifford, visit from the local Fire department and more. June 20th Summer Reading Program begins with Registration and Book Giveaway 10 am – 4 pm. One free book per child ages birth – 18. The Children’s Summer Reading Program is sponsored by the Friends of the Library, Milagro Rotary of Taos and RIF (Reading is Fundamental). The Teen Summer Reading Program is sponsored by the Friends of Taos Public Library and US Bank. 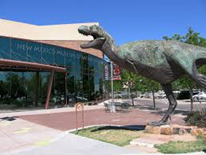 For more information on the Toddler’s and Children’s program, contact the Children’s Library at 575-737-2588. For more information on the Teen Program, contact Jeanelle at 575-737-2596. 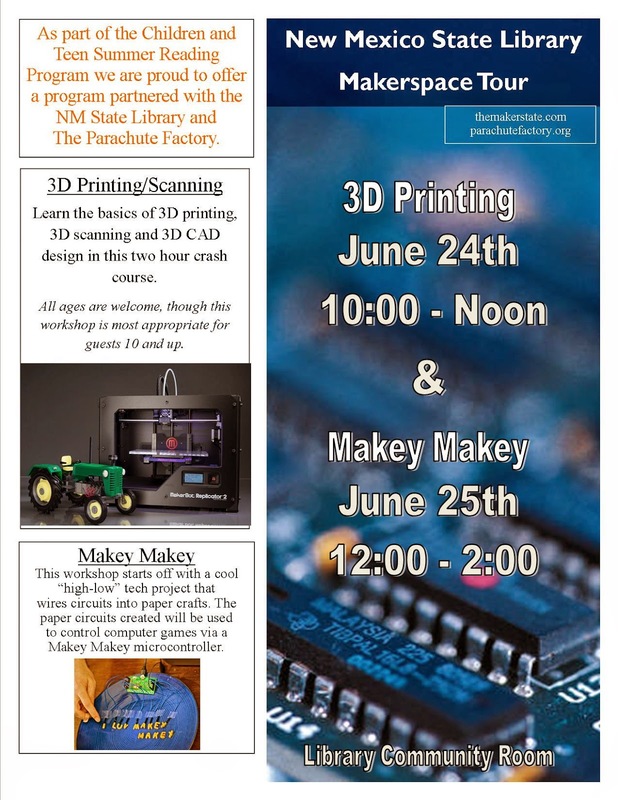 3D Printing Coming to Taos Public Library! 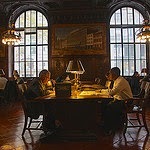 Would You Like To Have A Say In Library Policies? If you love the Taos Public Library and want to help make it even better, please consider taking a place on our Community Advisory Board. It's a low-stress, low-commitment position that involves meeting four times a year for about an hour or hour and a half. 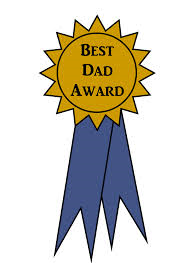 Father's Day is Coming Up! Join us to make that special card and gift for your Dad and Grandpa on Wednesday, June 11, 2014 at the Taos Public Library Community Room from 1:30 PM to 4:00 PM. This event is FREE for children of all ages. Children under 9 must be accompanied by an adult. Materials and examples will be provided, just bring your imagination. Come and have some creative fun!!! For more information call Judy at 575-737-2598 or via e-mail at jesquibel@taosgov.com. Mayor Dan Barrone and Town Councilmember Fritz Hahn joined us for the ribbon cutting of our new Teen Room last week. As you can see in the photo below, Mayor Barrone and Taos Public Library's Teen Services Librarian, Jeanelle Romo-Lucero, did the honors. The theft and misuse of personal financial information, including credit cards, Social Security numbers and bank account access, is the fastest-growing financial crime in the U.S. today. 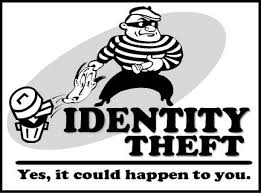 Identity theft can devastate not just your credit rating and bank account but tangle your left in legal complications and misunderstandings that persist for months or years. In this 40-minute informational seminar you will learn: What identity Theft is and how it can happen to you, steps you can take now to protect yourself from frauds, how businesses can defend themselves and their customers and what to do if you believe you have been victimized. Ribbon Cutting for the New Teen Room! All local teens are invited to a ribbon cutting for the newly designed Teen Room at the Taos Public Library. 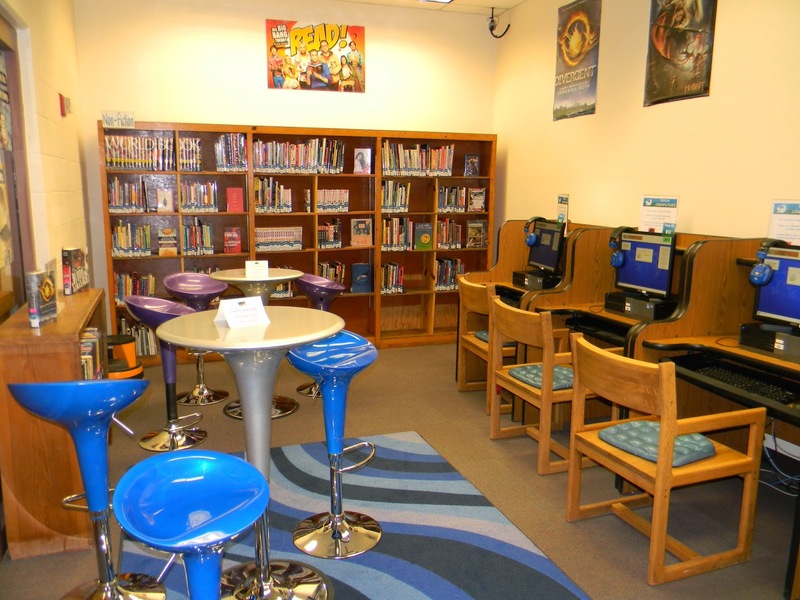 Ribbon cutting will take place on Wednesday, May 14th at 4:00 pm in the library’s Teen Room. Town of Taos Mayor, Dan Barrone will do the honors. There will be a drawing for prizes for all teens in attendance. The Teen Room was created to help teens achieve a successful transition from childhood to adulthood by providing teens a space to learn and grow. Teens are invited to do homework, read books and magazines, get on the computer to check email or social network, or hang out with friends . Teen Services Librarian, Jeanelle Romo-Lucero “hopes to encourage teens to become lifelong library users,” by giving them their own space to be creative and comfortable. All 1,400 books have new classification labels and new furniture was added. The plan is to have more events for teens throughout the year. The room will have its first event when the Teen Summer Reading program kicks off for its third summer June 20th. For more information please contact Jeanelle Romo-Lucero at 575-737-2596 or jromo@taosgov.com. Special edition………………………….May 2014…………written by Joanne Forman……….. So says Head Librarian Shirley Fernandez about the attractive new Teen Room at the Taos Public Library. Join us to make that special card and gift for your Mom and Grandma on Wednesday, May 7, 2014 at the Taos Public Library Community Room from 1:30 PM to 4:00 PM. This event is FREE for children of all ages. 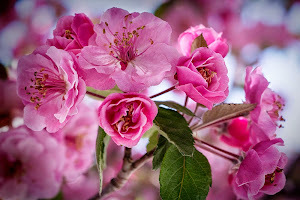 They will be held at the Farmers Market next to the town hall, from 8 am to 1 pm. 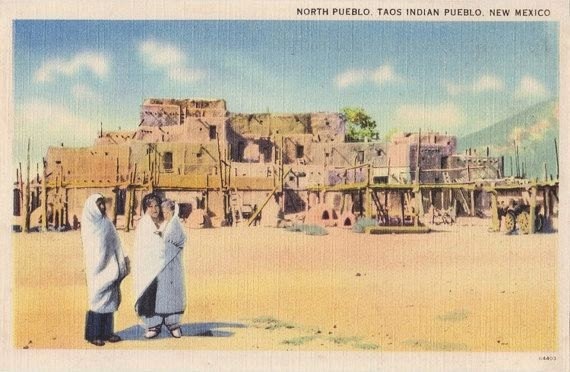 I wanted to share some photos of Taos taken in the 1940s. 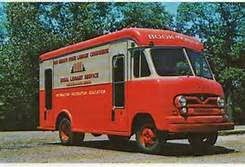 The bookmobile is run by the state library. It's an invaluable service for those living in remote rural areas without a car, or homebound. Peter Cottontail Hoppin' Over to the Taos Public Library on April 15th! Hippity hoppin’ Peter Cottontail is on his way to Taos Public Library and invites you to join us on Tuesday, April 15, 2014 for a Peter Cottontail story reading and crafts. The Peter Cottontail story book reading and crafts are scheduled from 1:30 PM to 4:00 PM at the Taos Public Library Community Room. The book reading of Peter Cottontail will be told bilingually (Spanish and English) by Dr. Lucille Gallegos-Jaramillo (Dr. G.). The Easter Bunny “Peter Cottontail” will be available for visits and pictures. Bring your own camera. This event is FREE for children of all ages. Children under 9 must be accompanied by an adult. All materials for the crafts will be provided, just bring your imagination. For more information call Judy at 737-2598 or via e-mail at jesquibel@taosgov.com. -posted on the Friends of the Taos Public Library Facebook page. 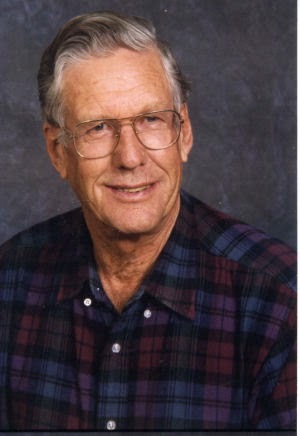 The Taos Public Library staff would also like to express their condolences to Judy and the Anderson family. We are deeply grateful for all that Judy and Chilton have done for the Taos Public Library. City of Women is yet another novel about World War II. It is at once a thriller, a mystery, a romance and expose of those dark days in 1943 Berlin when most of the men were off fighting and the women were left home working war-effort jobs, raising babies for the glorification of the Reich, hiding in air raid shelters almost every night when the allies bombed and clandestinely working the black market or smuggling Jews and dissidents out of the country. A beautifully written, compelling, passionate story, where no one is quite what they seem and it is almost impossible (in a world of Nazi spies and snitches), to find anyone you can trust. Enon is the name of the small town where Charlie Crosby grew up, worked, married, and where he raised his daughter. Enon is about Charlie’s descent into self-destruction and hallucinogenic landscape, where reality and illusion are blurred. Charlie’s life changed forever when the worst tragedy a parent can imagine, happened to him and his wife. No wanting to reveal too much of what Charlie goes through, suffice it to say, how Charlie responds to his life situation, is hard to take in, because of the depth of emotion, loss, family ties, and grief. I was drawn in by Harding’s prose and deeply intimate portrayal of Charlie. 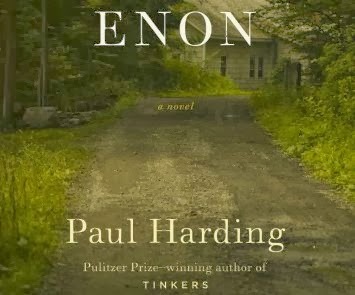 Enon is a continuation of the Crosby family written about in Harding’s debut and Pulitzer prize winning novel, Tinkers. You haven’t seen beautiful until you see a black woman all dressed to the nines ready to go to church. Her crowning glory is her hat! 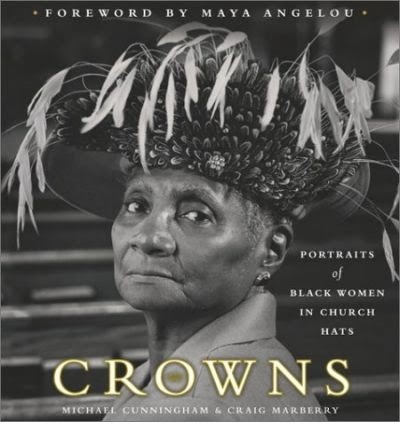 This book is an exquisite collection of black women in their finest hats. Each photo is accompanied by a 2-page essay where each woman tells about her hats, friends, family, and of course her church. What’s interesting is when you look and these beautiful women in their hats, is what the hat tell you about the woman. Some of my favorites: Carmen Bonham, page 13; Charlene Graves, page 42; Denise Hartsfield, page 61; Jacquelyn Jenkins, page 69, Charlotte Swann, page 141. · is a very good human story. 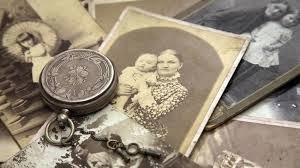 Yes, the story involves the West but the story is told from the point of view of the teenager Lonnie who is torn between the traditional life and character of his grandfather and the wild living of his irascible uncle, Hud. In the beginning of McMurtry’s career he swore that he would not write stories about the romanticized, unrealistic and stereotypical perception of the historical frontier. Lonesome Dove changed that but that’s another story. Horseman, Pass By is his first book (1961) and it describes a West that is changing from the dusty, hard life of the past to a more modern and urbanized reality less secluded on the ranch and engaged in more pervasive cultural and societal change. We continue our gentle meander through our library, sampling from the Dewey Decimal System, under which all our 63,000 books are classified. We’re up to the 600s—Technology, Applied Science, we are sternly told. Fortunately, for technophobes like this writer, this includes books on cooking—a subject in which we’re all interested. As usual, our library is copiously equipped, whether you need cookbooks for diabetics, Kosher cookbooks or just something mouth-watering. snips and turnips were introduced into England by Flemish weavers fleeing Spanish persecution—or that potatoes and tomatoes were among the gifts of the so-called New World to the Old—not to mention tobacco. Very useful for today’s busy person is BEST EVER RECIPES FOR YOUR SLOW COOKER by Catherine Atkinson (641.58Bes) Many of us call it a crockpot; whatever the name it is a godsend: throw the stuff in, turn it on low and either go to sleep or work; eight or so hours later, it’s ready! sauces, even cakes and preserves. Profusely illustrated, of course. This is just a sampling of what you’ll find in the 600s of your Taos Public Library. Check it out! Taos Public Library is Celebrating Dr. Seuss’s 110th Birthday! In honor of Dr. Seuss’s 110th Birthday and to celebrate fun and value of learning to read, the Taos Public Library, Taos Milagro Rotary Club, DMC Broadcasting Inc. have joined together for the National Education Association’s (NEA) Read Across America, on Saturday, March 8, 2014. Our Birthday Party is scheduled from 1:00 PM – 3:30 PM at the Taos Public Library Community Room. The Birthday Party is for children of all ages. The first 360 children will receive a free Birthday bag. Also, the first 10 children dressed up as their favorite Dr. Seuss Character at the party will receive a FREE Dr. Seuss Book. this Saturday, February 22nd, from 1:00 pm to 3:00 pm. Valentine’s Day is coming up and you know how much parents, family and friends love to receive special valentine crafts made from the heart. Join us for Valentine Craft Making on Wednesday, February 12, 2014 at the Taos Public Library Community Room from 1:30 PM to 4:00 PM. This event is FREE for children of all ages. Children under 9 must be accompanied by an adult. Materials and examples will be provided, just bring your imagination. Come and have some creative fun!! For more information call Judy at 737-2598 or via e-mail at jesquibel@taosgov.com. 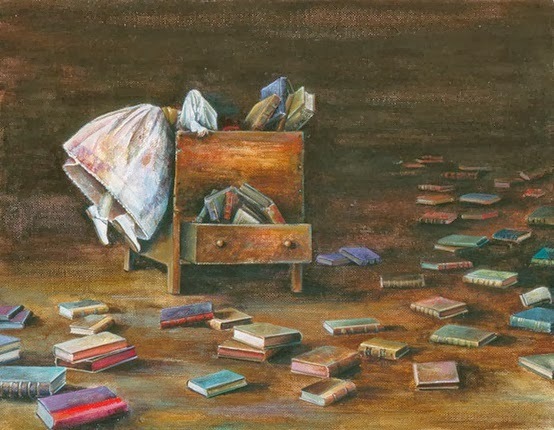 Digging for a Good Book? I've compiled a partial list of new, noteworthy (fiction) bestsellers which the Taos Public Library has added in the New Year. Booker Prize winner for 2013: The Luminaries by Eleanor Catton. Pulitzer Prize for fiction: The Orphan Master's Son by Adam Johnson. Sycamore Row by John Grisham. The first phone call from heaven by Mitch Albom. The gods of guilt : a novel by Michael Connelly. Cross my heart by James Patterson. The invention of wings by Sue Monk Kidd. The signature of all things by Elizabeth Gilbert. *We've also added many new mysteries, too numerous to mention here. Plus Mary Oliver's latest, Dog Songs. If you have any questions on how to access your account online, please ask for assistance at the reference desk or give us a call. Here, at the Taos Public Library, at the beginning of a new year, we have much to offer. We are busy processing newly released, bestseller books, movies and documentaries, books on cds, e-books, and e-audio books. In the next few days, I will post a list of our new items, some of which are on must read lists for 2013, and up and coming releases for 2014. Don't forget, we still offer public computers whether you have a library card or not, and wireless for those with laptops, ipads, etc. The children's library still offers story and craft time every Thursday, from 10:30 to 11:30 am. Come check out (literally) some inspiring titles from this month's display: Top Ten Resolutions. Can't find a book you'd like to read? Is our catalog proving to be more than you can handle? Please ask us for assistance. Need a book recommendation? Check out the monthly "staff pics" board. Our tastes run the gamut, from obscure fiction from the 1800s, to lesser known bestsellers, classics, fiction, and non-fiction. Support your local library! Read your next favorite book, in 2014!